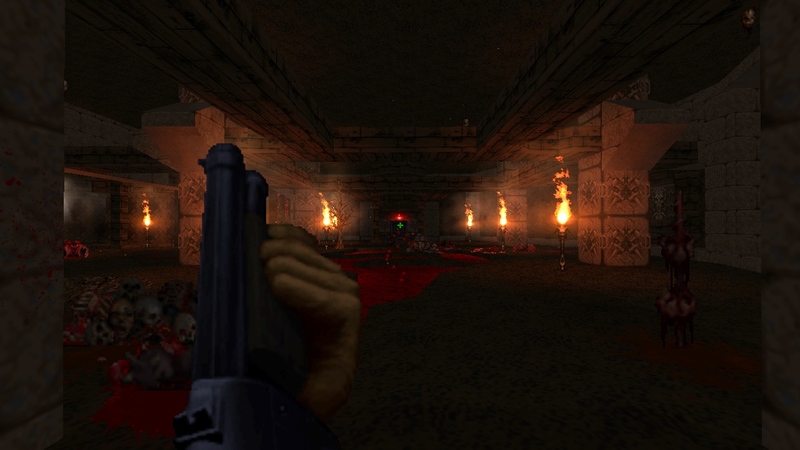 Soul Sanctum is an upcoming episode wad specifically for Brutal Doom 64. However it will also work with Doom 2. The wad will feature new maps, a story, and a lot of action. Release date will be announced later. It is mostly about the maps here, I have already got a few of them done and some started now. (So keep in mind some screenshots could be unpolished). I have many plans in mind for this and I hope they go through. 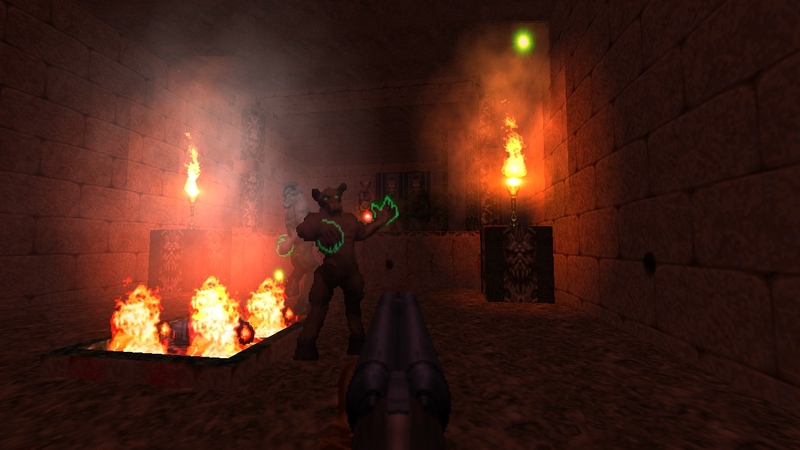 The main focus is simply to make new levels for Doom 64. Specifically for Brutal Doom 64 because of the support for Zandronum. I am trying to make the levels correspond to the original maps with some extra flare but for the most part I want to stay original here. At the end of Doom 64, Doomguy decides to stay in hell. Therefore I thought it would be fitting to make Soul Sanctum begin right where Doomguy left off. (Intro) Finally… the mother of all demons is dead! The blood pours from your eyes as you stand in defiance. As the only marine to endure the slaughter- You decide to remain in hell and ensure no demon arises from hell again. (Present) Years have passed and silence soaked in the air. But there were rumors of a sacred sanctum where all the demons have been secretly gathering. A place they have been using to restore there numbers and kingdom. All straddlers were welcomed and of course new entries into hell have been adding up. The Soul Sanctum is a place where all the good souls have been stored. The demons were getting power from trapping honest souls and collecting the tears of hurt. Every time there is pain on earth it gets stored in the Soul Sanctum. Doomguy has been searching for this hell hole and hasn’t been able to find it, until now. What Doomguy didn’t know is that the mother demon gave birth to another female around the same time she was slain. The offspring was sent to earth, to avoid coming into contact with him. 20 years later she is back and ready to get revenge. For the demons to take over earth they have to first take back what is “rightfully” theirs… Hell! This has been classified as “Mission 64: The Soul Sanctum” marine. Kill all demons, find the sanctum, destroy the soul chamber, and leave them all saturated in red. This story and all ideas are subject to change some, as this isn’t done yet.